Please join us in the historic Manayunk section of Philadelphia on Saturday, May 16th, for the Type-IN. We will be at Pretzel Park, Silverwood & Cotton Streets (just minutes from the Manayunk station of SEPTA regional rail). Starts noon, Typing Speed Contest at 1:30 (must sign up by 1 p.m.). NOTE: If rain is more than 50% in forecast, we will set up in LUCKY’S LAST CHANCE, 4421 Main St., in their palatial second floor lounge. But current weather report shows a long clear stretch from before noon to late afternoon. 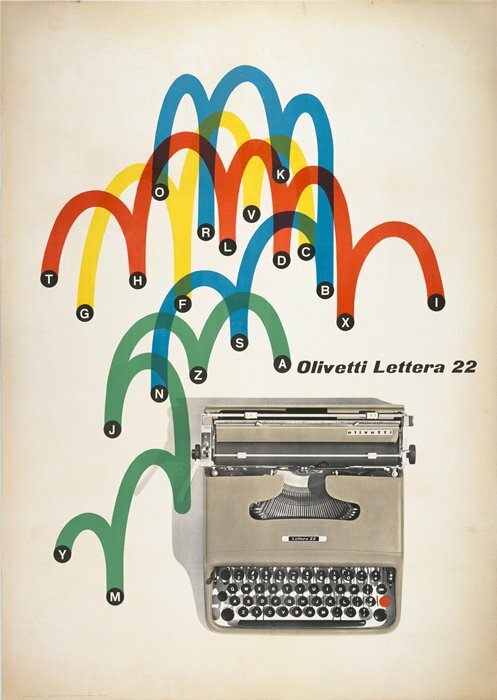 Olivetti Lettera 22 (as shown above) ; Olivetti Lettera 32 ; Olympia Socialite; Olympia SF, Olympia SM-3, Olympia SM-9, Olympia SG-1; Remington Portable One. All of these will be in working condition and ready to try out. (another dozen machines are on the way from Staten Island, so expect a diverse selection to compare. FLASH: New typewriter guests confirmed late Friday night: Underwood 5 , Underwood Noiseless, Royal 10, Singer Pro Portable, SCM Sterling, Underwood 21, SCM Galaxy 12, & more! THANKS AND HOPE TO HEAR YOUR CLACK, JACK! Have a great event! Wish I could be there.